Kitchen Table Advisors helps small California farmers build profitable business models in a landscape made for larger operations. As an immigrant farmworker in California who started her own organic farm in 2007, Bertha Magaña considered herself a success. Magaña Farms brought in stable income and generated enough revenue so that her husband was able to quit his job and join her. 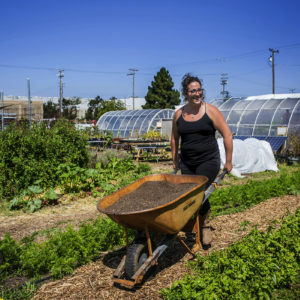 But when the nine acres of land where she grew strawberries and a variety of vegetables went up for sale last summer, Magaña knew she might have to move—and she didn’t know where to turn. As a first-generation farm owner, she lacked connections to land and capital. And as a monolingual Spanish speaker, she couldn’t tap into many of the services offered to help farmers, since most are offered in English. 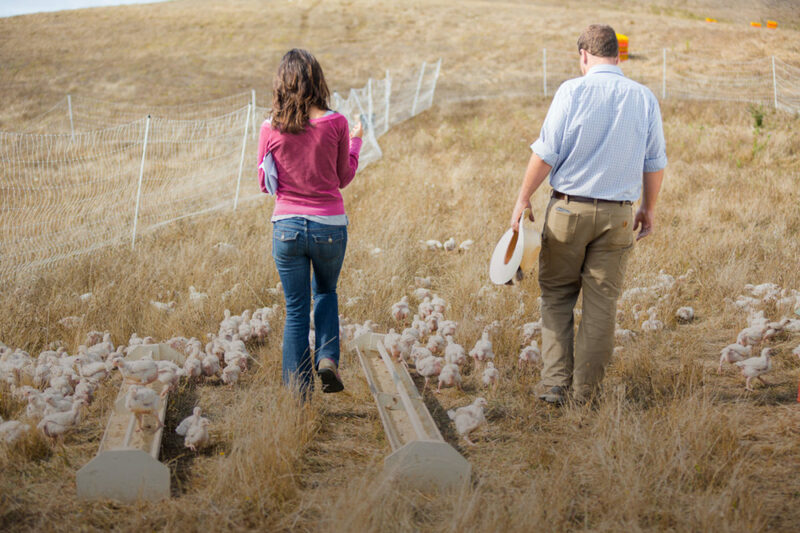 Enter Kitchen Table Advisors, a nonprofit organization providing business coaching and tools to farmers in Northern California who don’t have easy access to these resources. Along with the U.S. Department of Agriculture (USDA) and California FarmLink, Kitchen Table Advisors helped Magaña secure the loan she needs to buy the land. Kitchen Table Advisors founder and executive director Anthony Chang said Magaña’s situation was an against-all-odds scenario. “But our business advisor, David Mancera, was able to sit down with her and make sure it was a prudent move from a financial perspective,” Chang said. After spending over a decade running small business support programs at Opportunity Fund and California FarmLink, Chang launched Kitchen Table Advisors in 2013. He was moved to act after discovering that many of the farmers at his local farmers’ market in Mountain View were barely getting by—and didn’t have anywhere to go for help. After researching the economy of farming—an industry plagued by slim profit margins—he realized there was a need to support small farmers who were already growing their businesses, but faced challenges expanding further and establishing a sustainable income. Eighty percent of the farmers who work with Kitchen Table Advisors are women, people of color, or immigrants. And even if there are services in different languages, being able to connect with someone who understands your background and experience is necessary to build the trust and relationships needed when borrowing tens of thousands of dollars, he said. Farmers at Fifth Crow Farm consult with Anthony Chang (photo by Jonathan Fong). That’s exactly how Mancera—a bilingual Salinas Valley native from a farmworker family with a strong background in business—made the difference for Magaña in her bid to purchase her farmland in Royal Oaks. 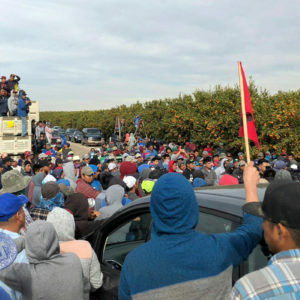 Although the cost per acre was steep, Mancera used his local knowledge of the area and nuanced understanding of the pressures on farmers in Central California to help assess whether buying the land made sense for Magaña in the long run. And he trust that Mancera had developed with Magaña and her family was the other essential part of the equation. “There was a part of the loan process where they might have backed out if they didn’t have anyone they trusted to explain it to them,” he said. Instead of providing a business plan template, Chang and the group’s three business advisors (based in and around the Bay Area) work with clients over a three-year period to identify their needs, develop a plan of action, and assess how well the plan is working. Advisors meet with the farmers at least once a month. In order to work with Kitchen Table Advisors, a farm or ranch must be certified organic. Qualifying ranches must raise their livestock on pasture. Chang adds that while it’s not a hard and fast rule, his organization is also looking for farmers that are at an inflection point in their business—either scraping by to make a living between $10,000 to 25,000 a year, or making more, but looking to gain long-term land stability by buying the land on which they’re farming. During its first three years, Kitchen Table Advisors worked with 10 farms. The results were positive. 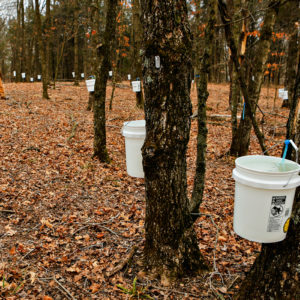 On average, the farms’ net income increased by more 60 percent in three years. The group also increased their sales collectively by $1 million each year. Farmers don’t pay for the group’s services. Instead, they work out an agreement with Kitchen Table Advisors that pays the group back by hosting farm tours and fundraising dinners, or through speaking at events aimed at both educating the public and building relationships with the partners and volunteers with whom Kitchen Table Advisors works. Now, as Kitchen Table Advisors expands its reach—in the past year it has taken on 15 more farmer clients and will start working with 14 more in January—it’s looking toward the future. The original 10 farms will continue to work with Kitchen Table, but will mainly focus on two large projects a year. As a “graduate” of Kitchen Table’s three-year program, Magaña may not be working as intensively with Mancera as before. But he will still play an essential role in her business—from helping her determine which crops to plant next season to serving as a translator with produce marketers and government agencies.